At the 5th Global Forum for Food and Agriculture from 17 till 19 January 2013, representatives from the worlds of politics, economics, science and civil society committed themselves to a resolute fight against hunger and called for investments in the agri-food sector to be significantly increased, particularly in developing countries. In the summit’s final communiqué, the participating countries – representing almost five billion people and thus roughly 70 percent of the world’s population – emphasised the special importance of responsible public and private investment in agriculture. At the 5th Agriculture Ministers’ Summit in Berlin, ministers from 80 countries worldwide committed themselves to a resolute fight against hunger and called for investments in the agri-food sector to be significantly increased, particularly in developing countries. 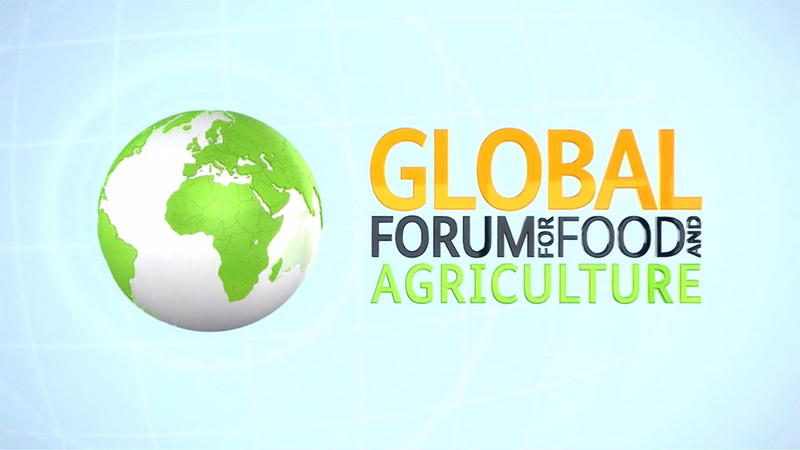 At the International GFFA Panel Discussion, high-level representatives from politics, industry, research and civil society discussed responsible investments in the agricultural sector.